Say aloha to the Kaholo indoor/outdoor rug. 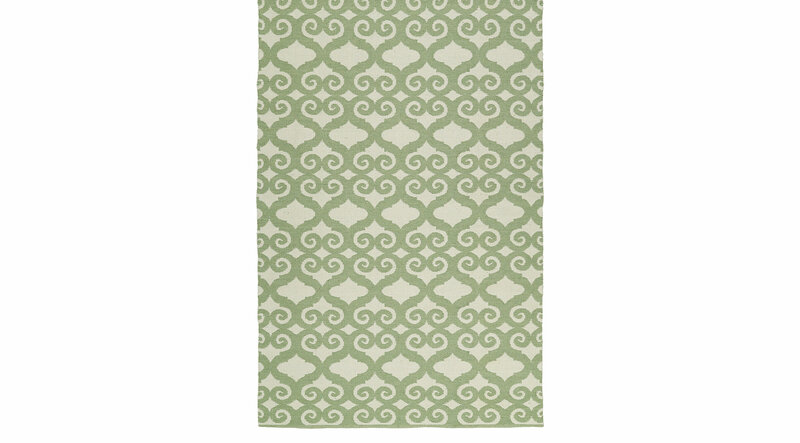 This Hawaiian-inspired rug is handmade in India of 100% polyester. The charming pale green pattern is reversible and features two unique patterns to choose from because of the innovative positive/negative color weaving technique. Spot clean as needed. For deeper cleaning, contact your local rug cleaning professional.